The mission of Cosmetics for a Cause is to solicit and collect makeup from cosmetics companies and individuals and facilitate the distribution of the collected items to other non-profit organizations that exist for the purpose of helping women in need. We help women who are searching for employment, recovering from sexual assault, living in safe houses, and recovering from cancer. We make it easy on large cosmetics companies to dispose of their excess inventory by accepting large donations and by facilitating the distribution of the products. 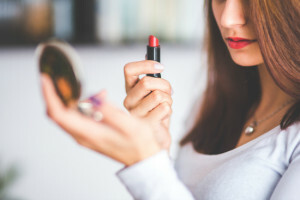 We make sure that we pair the makeup we receive with the organization that can best use it based on the demographics of the women and girls the organization serves. We make it easy on individuals to donate their unused makeup for the same reasons. Just send us your donation and we will make sure that the products are given to a woman who needs them. We make it easy on non-profit organizations because they can implement a new program of helping the women they serve without exhausting any resources. For more information on how you can help, visit our DONATE page. There are several ways that you can help. Be sure to follow us on our social media sites and take a look at our NEWS page. We enjoy keeping you updated on our current projects. We are a 501 (c) (3) non-profit organization. All donations made to Cosmetics for a Cause are tax-deductible. A COPY OF THE OFFICIAL REGISTRATION AND FINANCIAL INFORMATION MAY BE OBTAINED FROM THE DIVISION OF CONSUMER SERVICES BY CALLING TOLL-FREE 1-800-HELP-FLA (435-7352) FROM WITHIN THE STATE OF FLORIDA, OR (850) 410-3800 CALLING FROM OUTSIDE THE STATE OF FLORIDA.